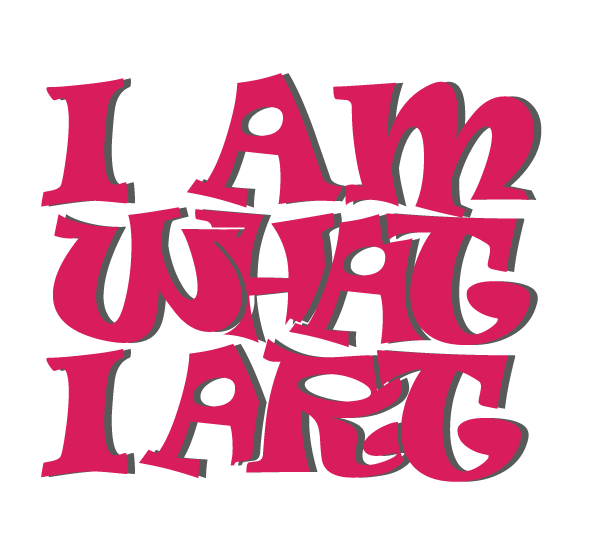 I AM WHAT I ART - You are creative & I can prove it! You are creative & I can prove it! & I CAN PROVE IT! You know that feeling? Life is too tight and you want to be so many things? An artist, an author, a dancer, a mother, a surfer, an accomplished pianist, a lover, a gypsy, a wanderer, a rebel, and still have a job because you need to make money for all that stuff? You ever wear different skins, not change skins - because they're all your skins, it's just you have many of them? You want to experiment and see what fits and if it doesn't fit, you leave it on the floor or you cut it to create something better that fits, and then you leave that on the floor and go try something else? You're not interested in focusing on one thing - as everyone advises. Your focus is unfocusedness. You're not interested in becoming rich or famous - even if you won't be unhappy if they come knocking? You just want to play. But everyone is telling you you are not creative. You can't draw. What the hell are you talking about? Creative my foot .. and you start to believe it, and you drown in sameness and you know you are slowly dying? You've just lost touch with that side of you. I'm not talking here about creating museum-worth art, I'm talking about that feeling of just being you. Remembering yourself. Being kind to yourself. Allowing yourself the joy of play. I'm talking about giving more than lip service to all those quotes you read online and then you click like! I'm talking about going on an Artventure. I want to take you to that place you long to be. Feeling good about yourself, and allowing that to spill over to your life. Not perfection. Not denial. None of that over-the-top optimism. More like an over-the-top way of living life, coping, thriving, dealing, crying, hurting, dancing, playing, and being true to you though it all. Everyone comes to the first workshop with the same apprehension. They believe they are not creative or artistic. They can't draw. But these workshops are not about drawing. I won't teach you how to draw, I'll teach you how to draw-out your own intuitive creativity and your own voice. You'll learn to give yourself permission to be creative in your own way. I won't interfere, I'll guide. I'll show you a few simple techniques that can be manipulated in endless ways to produce lovely journal pages that express your own style. ​Thoughts & Moods: We'll work on bringing together all the elements together around a single theme, mood or thought for self expression. ​Not Just Brushes: You'll use your fingers to create energy packed pages that are extremely therapeutic and help you release the stresses of your day. Some people signed my wall, some signed my guest book, some sent me emails, but almost everyone gave me a hug! Not all of it, but most of it. What is it? Art of course! The journaling, the drawing, painting, the music, the contemplating and cogitating, the lazying about and staring at ceiling and walls .. but you can see why I stare at the walls. This is my place where the walls are nothing more than pages in my visual journal! There's a 'bed' turned into a luxury lounger with loads of cushions (mostly handmade by me - some when I was 11). Paintings, collages, pictures, cuttings, bit of yarn, white board .. anything goes.. and the writing's on the wall, too!